How you can know that which domain is suitable to be purchased? You will see several scam domains out there showing very high page rank, and people did purchase them to get the large amount of money. 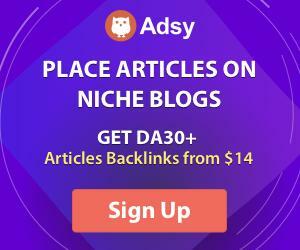 That’s the main thing that forced us to write this article with which we try to help you recognize what you should look at before you decide to purchase an expired domain. This article is being written to try answering the following questions. Why I have to know and learn the metrics? How an expired domain can be evaluated by me? How much money should I spend to purchase the domain? How is it possible for me to know that this domain isn’t a scam? How do I know that how a metric such as page rank is not going to drop once I have purchased the domain? Which metrics are that I must look at? Many people prefer to use Page Rank when they need to filter while some of them use Moz Domain Authority, Majestic Seo, and Trust Flow. However, you must know one thing that any metric can be manipulated. A few metrics are easy to be manipulated while the others are difficult. But remember, if you rely on a single metric you will find that fallacy. We are going to list many metrics so read them carefully. While you look at these listed domain metrics, if you find any of the values that look strange, you should discard the domain or check deeper into the link on the domain’s profile and must complete your research. May you know that major search engines such as Google, Bing and Yahoo like older domains. Why? Because the more age domain has, the more it is trustworthy. If an expired domain is up and has not been dropped yet, search engines can keep it in his eyes. Finding the domain detail is not difficult; it can be found using some seo tools available on the internet. You can get the detail of its registration date and can find when it was gone expired last time. If any domain name was registered on certain date, but the site that was uploaded, does not exist on that domain now, then it’s possible that the search engines may not think that date the domain was registered at, as the domain’s birth date. In this case, the search engines may consider the date when the site was crawled first. If you need to estimate domain age , you can use the Way Back machine. Tip: Try to prefer the domain that a few years passed away on it, because these kinds of domains take a while to amass enough authority, but make sure to don’t fret if the domain is not more than 10 years old. Page Rank is a metric that most people use it by default to judge the domain’s value. Keep in mind that Google has been saying for the last many years that don’t wait for the Toolbar page rank update as it will no longer be updated. So you can understand that it’s not going to be useful. Most people don’t know that the PR which is shown on the toolbar is not a real PR that is used by Google internally. The page rank internally is being calculated continuously and used to make the sites rank better in search engines. Remember, Google only sends this data to the toolbar one time during the year and it’s possible that won’t be sent again in the future, so this data can be old and useless. Let me explain that the PR can also be faked easily if it the domain has been forwarded to any other site that has high PR. If you need to verify either the PR is fake or real, make sure to use DomCop, they will inform you the reality of your site’s PR. Tip: Be aware when you see a domain name at a high page rank. You will see many expired domains displaying PR 7 or above, they are mostly like fake and scams. So don’t be cheated with such domains and don’t try to purchase them. DA (Domain Authority) is a metric between 0 and 100 that calls how well a site will work in SERPs. You can use DA to compare a domain to another domain. PA (Page Authority) is a metric that the chance of a special page can be denoted to rank in the SERPs. PA is not very different from the DA for the domain. However, PA is a metric for the site’s home page. In a perfect situation, these 2 values (PA and DA) can be very similar to each other. DA and PA tend to be popular metrics to judge the domain’s value. Unfortunately, both of them are also very easy to be manipulated. There are a few reasons for the low popularity of other Moz metrics such as Moz Rank and Trust Rank, among the domain holders. Tip: Make sure to check the domain with a DA larger than 30. If the domain is good, it will likely touch that figure. Citation Flow and Trust Flow have been grown in their popularity over the last 5 years. The Citation Flow is a measure of page rank and it’s very simple and easy to be manipulated, and the Trust Flow is a very hard metric to be manipulated and has become the first metric which is checked by default. However, an even better metric which is very hard to be manipulated is the ratio between the Citation Flow and Trust Flow. You will see that most domains have CF/TF slightly over one while fraud and scam domains have a very low ratio even below then one. There is actually another great metric, offered by Majestic and that’s Topical Trust Flow Category. That will show you the info about the niche that the links to the domain name are from. Actual domains tend to keep back links from just one top level niche while the fraud and scam domains have many backlinks from several niches. Tip: It is actually not possible to manipulate the ratio of CF/TF combination, Trust Flow, and Topical Categories. If you use these 3, you will filter most of the unreal and fake domains. SERP data is provided by Semrush for domains. This data tells you, essentially if the domain has recently ranked for the typical keywords. It is a best estimate of the visitors or traffic that can be expected from you. They offer many keywords, 30 days organic traffic against the cost you have to pay based on the volume and keyword cpc. Tip: The traffic cost definitely assists you justify the domain’s value. However, check some keywords and enter a few queries on Google to see if the SEM rush data works and it is accurate. They give metrics for the traffic of domain and domain’s rank, compared to other international domains and the niche. Although, you will get a little traffic using their services, but it is a good way to compare your domain with other domains. Tip: If you need to compare your domain to others, try to prefer Similar web over Alexa. Compete MetricsThe company Compete gives the approximate number of the visitors from the USA to the top thousands of websites. The data is computed from them directly from application service providers and ISPs.Tip: Do you need US visitors? Do you want the visitors that have the great value of their clicks? Well, Compete Traffic data can be a good choice for you. Alexa can maintain the ranking data on all sites from all over the world. Over the last 3 months, the traffic amount in total is a base of the ranking algorithm. Simply, they take the data from a population and then create the ranking off that. Keep in mind that the ranking data is not perfect 100%, because the sample population is taken mostly from the installed toolbar. And also, they can be simply manipulated by growing the visitors to a website after the toolbar has been installed. However, as Alexa ranking is here for a long time for many years, users like them well and they are very popular among the people from all over the world. Tip: No need to take the traffic and ranking seriously. The ranking is a good thing to have, but it’s not a something to be everything you need while you purchase any expired domain. Back links are the things that determine the domain’s page rank and thus you should check your back links to your domain name to determine the true value of your domain. However, just counting the backlinks is not enough. There will be many domains with a large number of back links, but when you will buy them, they will disappear. You have to use some tips and tricks to check if the back links will stay in their position after you have purchased the domain name, so use Google, Moz, Chief and Majestic SEO for this purpose. I have no problem saying that Google should be our first choice to do this and check the back links if they are permanent or will be cleared after a while. But keep in mind that Google is not able to show and display very accurate data about the back links. You will see sometimes that there are no links at all for your website. So, you can give a higher preference to check the links using Google, but checking the back links using other methods such as Moz, Ahref and Majestic SEO is also a good idea. I would like to suggest you that make sure to use all possible ways to check the back links. No follow vs Follow. We require to see if the links allow the page rank juice to go through to our domain. If you see that the links have an attribute called a rel=”nofollow” attribute, then remember, it won’t contribute to a ranking of the domain. Though, having these types of links is good, but keep in mind, these links should not be considered as a page rank improvement at all. Contextual Link: are the links, surrounded by several links or by many texts? So if you see that your desired link is surrounded by many other links such as blogroll, etc, then it is possible that the other links have been created there because they also need high page ranking for the various domains. But if you see that the link is surrounded by a simple text and that the text is a part of a unique article then there are a lot of chances of that the link is perfect and genuine. It means this link will be remained for about six month after you have purchased the domain. Outbound Links: These links also called OBL. Try to check all OBL links on the web page. The more OBL (outbound links) you have, the higher chances of ranking your site gets. So try to use them as much as possible. Remember, this step is the most effect step to getting good ranking for your website.